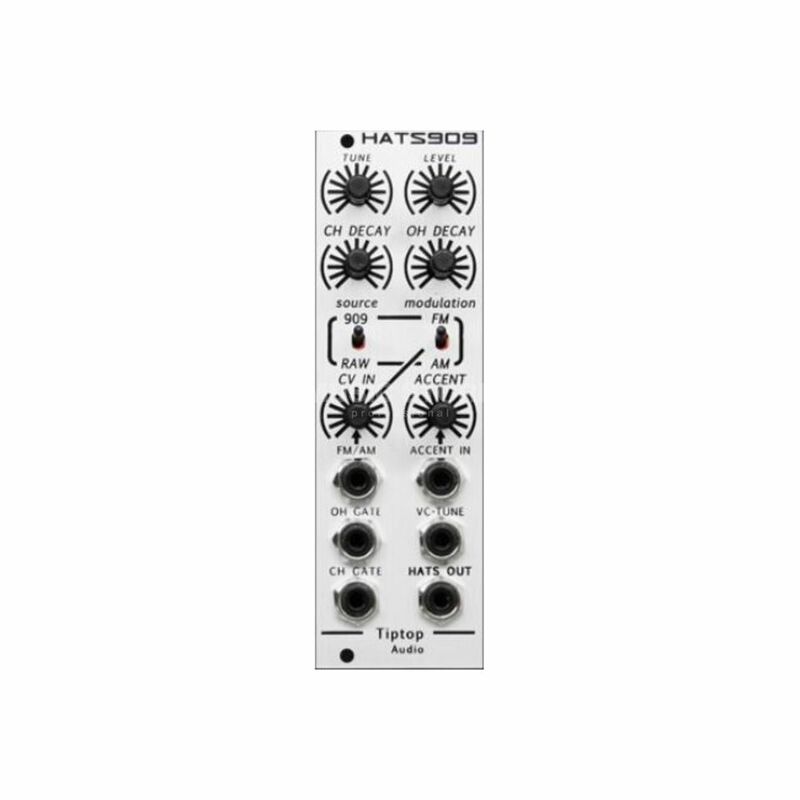 The Tiptop Audio HATS909 Hi-Hats Generator Eurorack Module emulates the sound of the TR-909’s analog open/closed high-hat circuits, ready to insert into your Eurorack. The sound is completely authentic with some special features which give it a modern twist. Each voice (open and closed hats) can be adjusted via accent levels, the distortion applied by the gain stage and a dual-input pulse shaper. The band-pass filter has controls for Q and VC-Q for fine adjustment and at maximum range self-oscillation and crushing will begin to colour the audio. The sound of this module is created by six square-wave oscillators. The original circuitry ´chokes´ the sounds when open and closed hats are triggered simultaneously and thus allows for a special dynamic sound and can be disabled internally.